Welcome to the BTE Racing Car of the Week series, where we feature our customers and fans, and the cars (and trucks) they love to race. 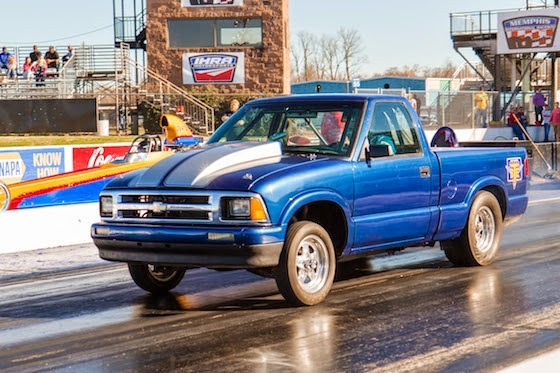 Today, it’s all about Michael Rickman of Selmer, TN and his 1994 Chevy S-10. It happened when I was a teenager, through some of my friends and their dad. My drive to get better at racing took off from there. “Ole girl” maybe. That's what I call her before each round. The 2-speed BTE powerglide loaded up with all the good stuff, also a BTE 8" torque converter. Because I believe in the durability and consistency of their products, plus it shows at the track. Carl Edwards is the guy I look up to. He is a awesome race car driver. I would love to learn how to drive a pro stock.